In a six-page opinion, the Board affirmed a Section 2(e)(1) refusal of GOLDEN DOODLE, finding the proposed mark merely descriptive of "On-line retail gift shops; On-line retail store services featuring apparel and accessories; Retail store services featuring apparel, accessories and gifts." Applicant acknowledged that among the many dogs represented in its designs is the "goldendoodle," a cross between poodle and a golden retriever. In re GoldenDoodle LLC, Serial No. 86717500 (August 11, 2017) [not precedential] (Opinion by Judge Albert Zervas). The evidence submitted by Examining Attorney Tracy Whittaker-Brown established that the goods offered in applicant's retail stores may feature goods with images, slogans or information regarding the goldendoodle breed. The Board therefore agreed that the proposed mark merely describes a feature of applicant's services. Applicant GoldenDoodle argued that GOLDEN DOODLE does not convey an immediate idea of the qualities or characteristics of its services with any degree of particularity because "goldendoodle" is only one of 56 breeds found at its website. The Board found that applicant's argument had more bark than bite. The Board noted that it considers the proposed mark in view of the services for which registration is sought, regardless of how applicant actually uses its proposed mark. Applicant has crafted its recitation of services in a manner to allow for retail services offering apparel, accessories and gifts that feature wording or images pertaining to goldendoodles, even to the exclusion of other dog breeds. Applicant pointed out that the USPTO has published for opposition a divisional application for goods [e.g., clothing, bumper stickers] that were divided out from this application but the Board pointed out once again that it is not bound by decisions of examining attorneys. TTABlog comment: Is this a WYHA? WYHA not? 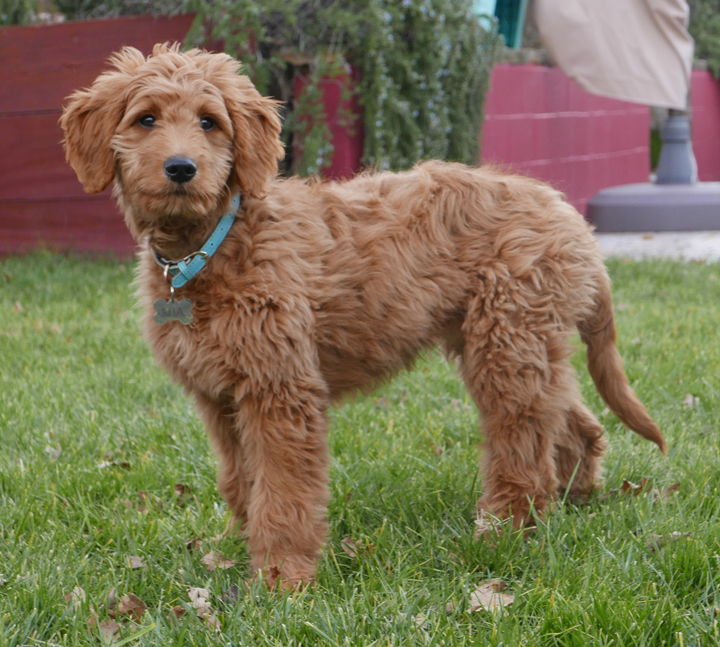 BTW, where did the second "d" in "goldendoodle" come from? Should it be "goldenoodle?" Or does that look too much like "golden noodle?" On the other hand, who cares?